Cameron will head to the USA to play American Football professionally for the Las Vegas Cobras. 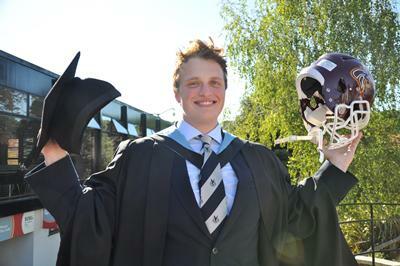 For Cameron Craig, life changed forever the minute he stepped onto campus at the University of Southampton. Eager to play rugby, Cameron attended Fresher’s Fayre in his first week with every intention of signing up for the University team. 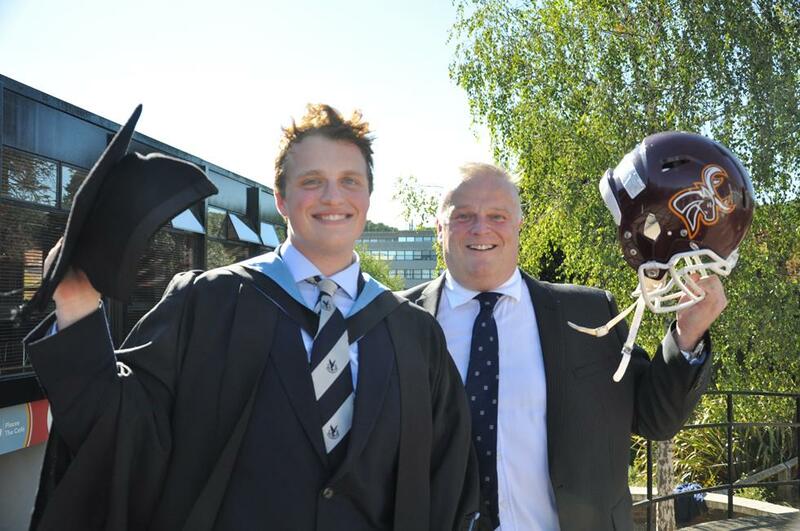 Whilst lining up to register for rugby, however, Cameron was distracted by a student wearing an American Football uniform – complete with the distinctive helmet and shoulder pads – and decided to switch queues. The rest is history – or, rather, history in the making - as Cameron will soon be on his way to the USA to play American Football professionally. Now a graduate of the Southampton Business School, with a BSc (Hons) in Business Innovation, Cameron is training and making preparations before travelling across the Atlantic early in 2019. That’s quite a leap for someone who hadn’t even watched a game of American football before his arrival in Southampton. It’s also unheard of for a British player to reach the professional ranks of the game in the USA without playing the game for an American college or university. But game footage of Cameron playing for the Southampton Stags posted online caught the eye of coaches overseas who've called to discuss the chance of playing professionally. “It blows my mind,” Cameron enthuses. “I’ve only been playing American football four years; it’s all come about really fast but I’m looking forward to it. Originally from Scotland, Cameron’s start in life gave no indication of his current prowess on the gridiron. Born six weeks early, Cameron had a number of health issues in his early years. At the age of seven, he was diagnosed with dyspraxia which affects the development of the brain and causes difficulty with coordination and movement. Now, Cameron stands at six feet-four inches and shows no signs of his earlier problems. In fact, his size and agility play favourably into his chances of being successful in the USA where he could end up playing an indoor version of American Football that will require him to play on both sides of the ball – something he’s experienced with the Southampton Stags. “This last season, 2017-18, for Southampton has been my favourite,” he adds. “We went undefeated and I got the opportunity to play on defense and offense which is quite a professional challenge but that versatility will stand me in good stead for the Cobras. 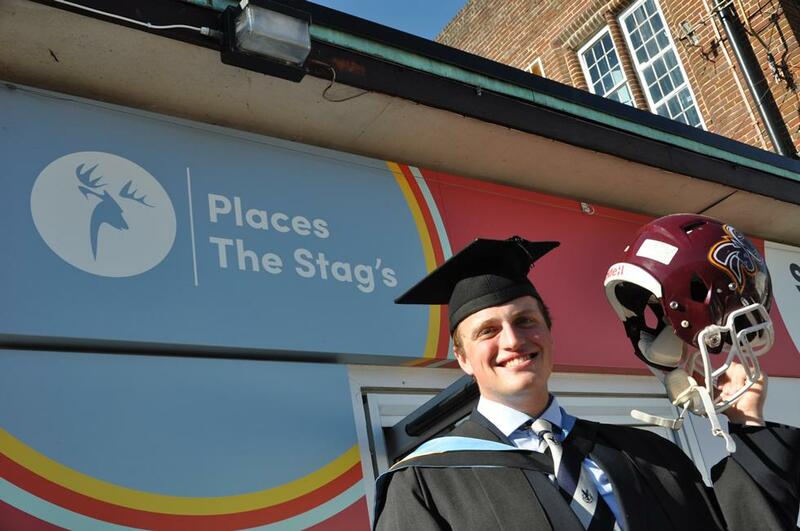 “Joining the Stags was one of the biggest highlights of my life and my time at the University of Southampton has been fantastic,” says Cameron. “Just walking onto that field the first time for the Stags and not having a clue about any of it at first, then slowly learning more and more about the game has been amazing. I’ve made a lot of friends, lifelong friends, amongst the players and coaches and I’m sure the same will happen in the USA. Cameron’s own family is also backing him as they have all of his life. 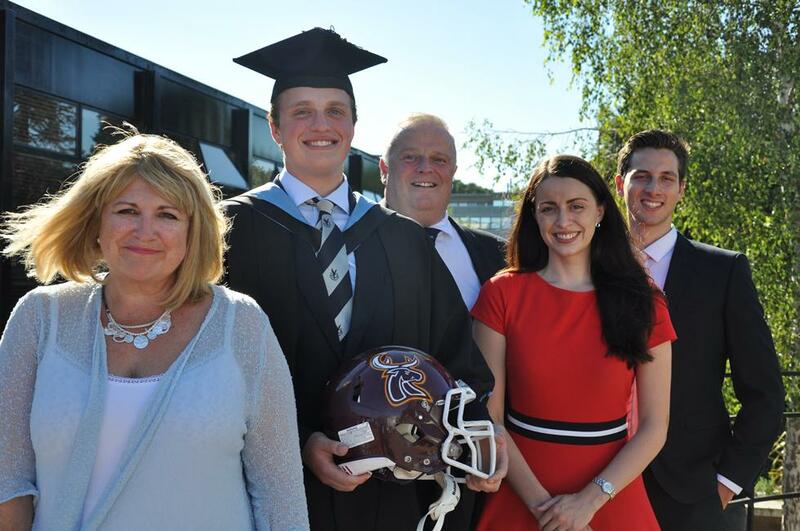 His father and mother, Scott and Louise, were surprised when he first took up American football but have travelled to watch him play throughout his career at Southampton, Sheffield and London and look forward to the opportunity to cheer him on in the USA. Cameron with mum Louise, dad Scott, sister Hannah and brother-in-law Tom. “I’ve only been playing American football four years; it’s all come about really fast but I’m looking forward to it," says Cameron Craig.